If you are visiting Orkney as part of a cruise itinerary, and looking for a fly fishing shore excursion while docked in Kirkwall, we have full day and half day excursions on offer. 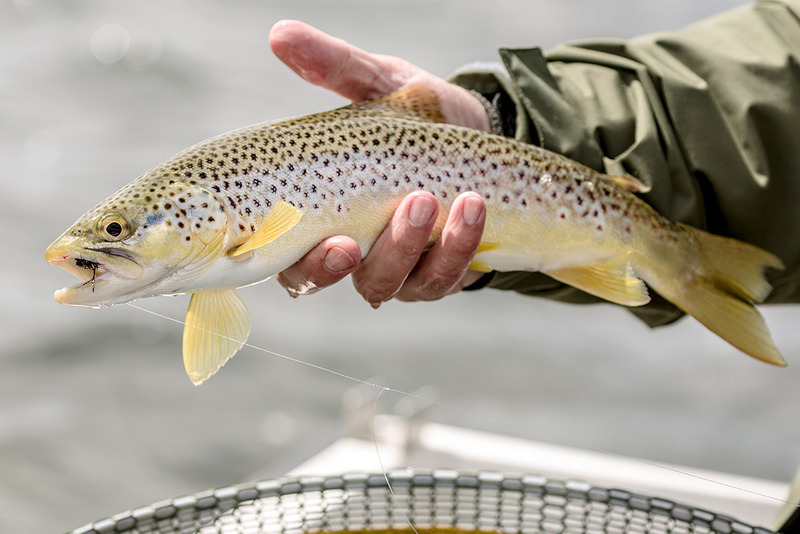 Orkney has some of the finest wild brown trout fishing to be found in Europe, and nowhere else in the UK will you find the amount and variety of top quality trout fishing, with such easy access. Trout fishing is part of the local culture, and visiting anglers are warmly welcomed. 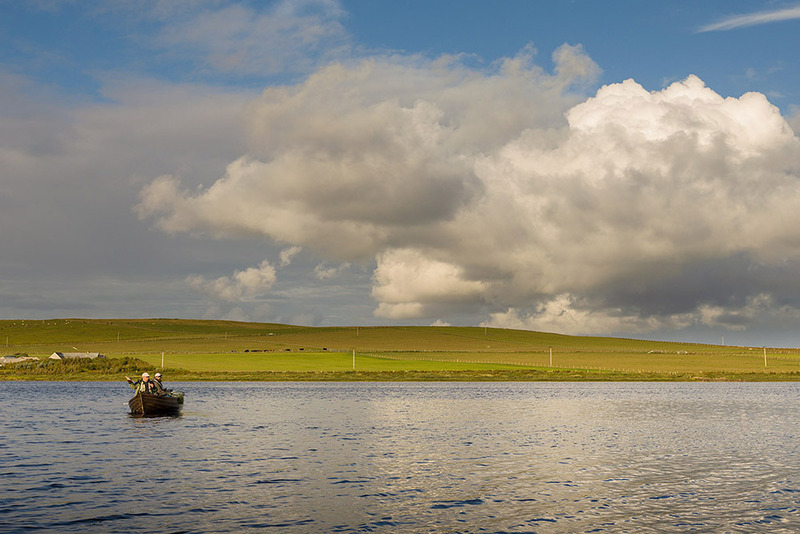 All of the lochs on the Orkney Islands are managed by the Orkney Trout Fishing Association (OTFA). Visitor membership is included in our packages entitling you to use their facilities, while also supporting their excellent fishery management & conservation work. Your guide will take you to fish on one of the 4 main lochs on Mainland Orkney: Harray, Boardhouse, Hundland, or Swannay; his choice dependent on the prevailing conditions. Each loch varies in character, but all have huge populations of hard fighting brown trout in the ½ lb -1½ lbs size range, and occasional bigger fish up to 4 lbs. Providing weather conditions are not extreme, excellent sport can be expected. 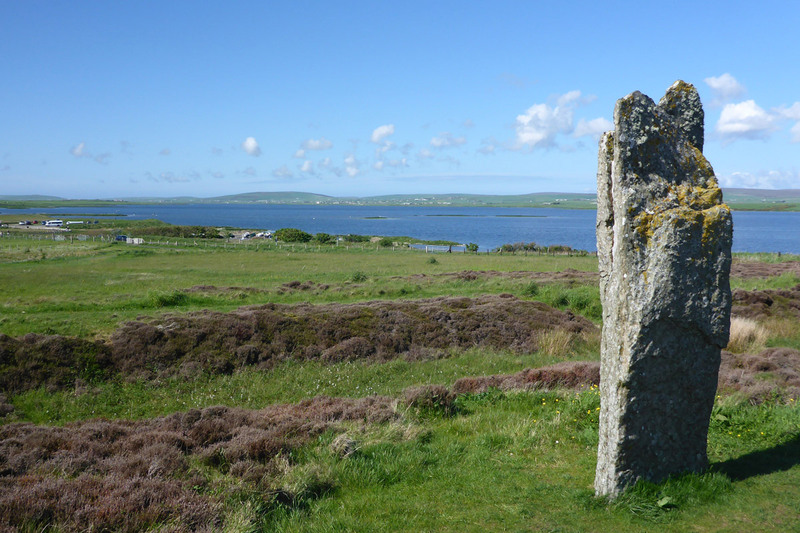 If you happen to be fishing on Harray, there will be time for you to stretch your legs and visit the Ring of Brodgar, just a few hundred metres from the boat moorings, while your guide sets up your boat. The packages below are aimed at groups of 2-4 anglers, but we also cater for single anglers and larger groups - please enquire. All of our excursions are subject to availability, and advance booking is essential. For further information or to book your excursion, please send us a message. 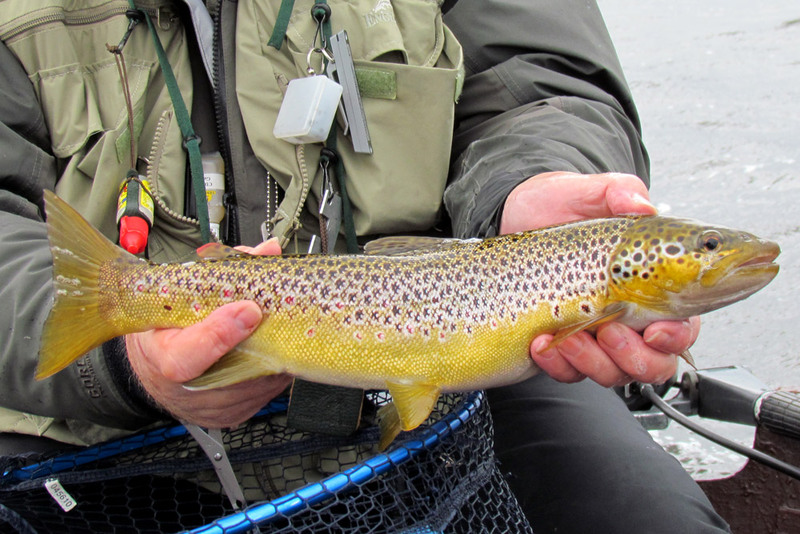 An exclusive full day excursion to fly fish for wild Brown Trout on an Orkney mainland loch. 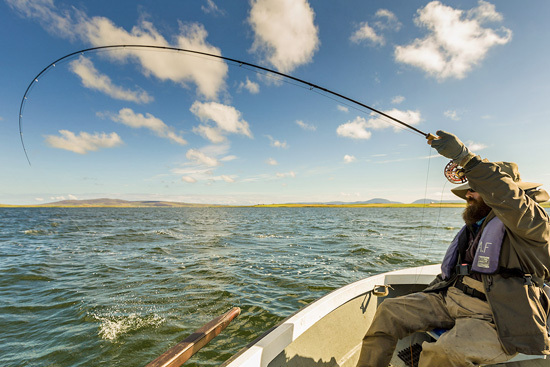 Fishing by boat for wild brown trout in Orkney has its own unique style - a combination of modern and traditional fly fishing techniques that can be enjoyed by anyone with basic casting skills. This excursion/rate is designed for up to 2 anglers. 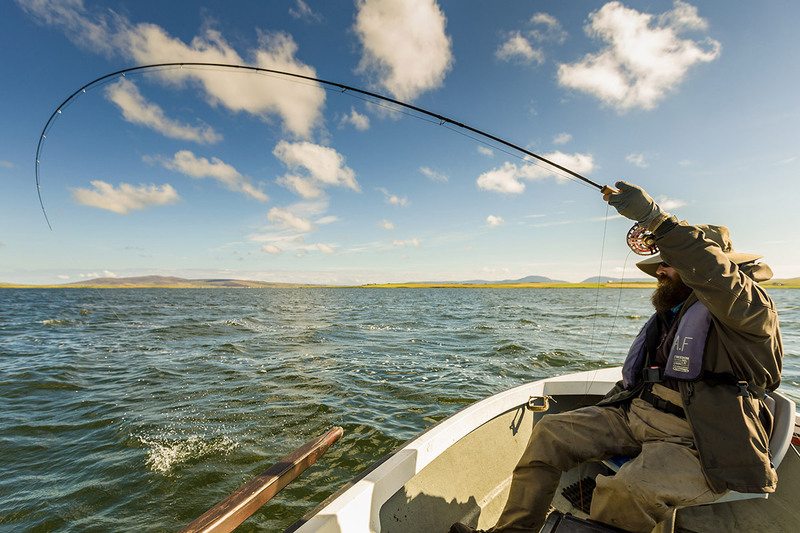 An exclusive half day excursion to fly fish for wild Brown Trout on an Orkney loch. 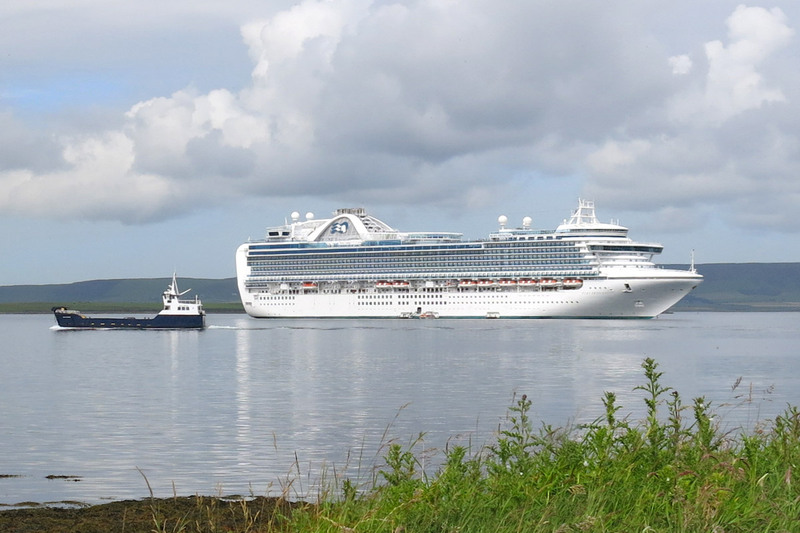 If you don't want to miss some of Orkney's other attractions, then this trip might be for you, leaving you some free time in port, though you will be amazed what you can see on your way to the lochs! 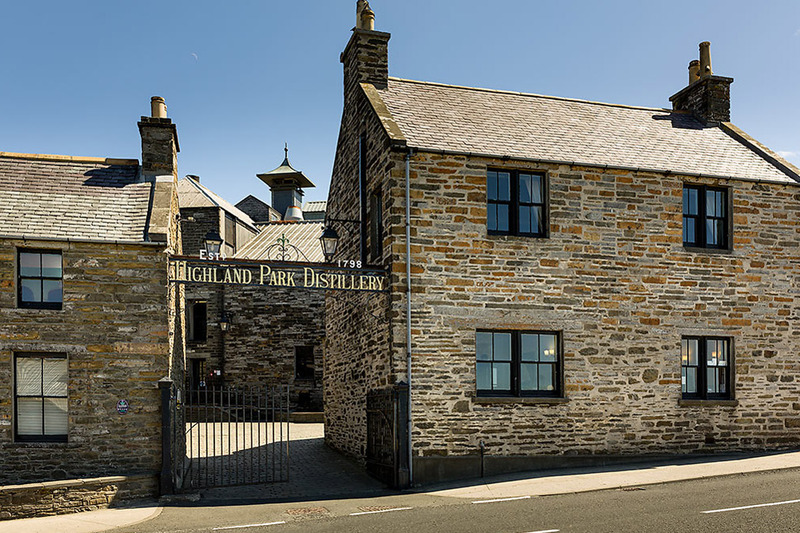 If your party makes up the full group fishing, and you would like to incorporate another Orkney experience into your excursion such as a short stop at a pre-historic archaeological site, or a distillery visit, our guides will be pleased to try to fit this in with the fishing. Unless otherwise stated, guiding for 2 anglers will be provided by a shared fly fishing guide. For packages for 3 to 4 anglers we will provide an additional boat and fishing guide. Single anglers are welcome and can book an exclusive fishing/guide hire package at a supplemental rate. They can also be accompanied by one non-fishing guest at no additional charge.